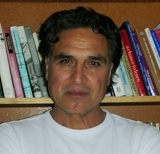 Ruben Donato is Professor of Education at the University of Colorado Boulder. Dr. Donato is an educational historian, and his research interests range from the educational histories of Mexican Americans in the American Southwest to current educational policy issues that affect Latinos in the United States. His teaching interests are in the areas of history of American education and educational foundations. Dr. Donato has served as chair for Division F (history and historiography) for the American Educational Research Association.